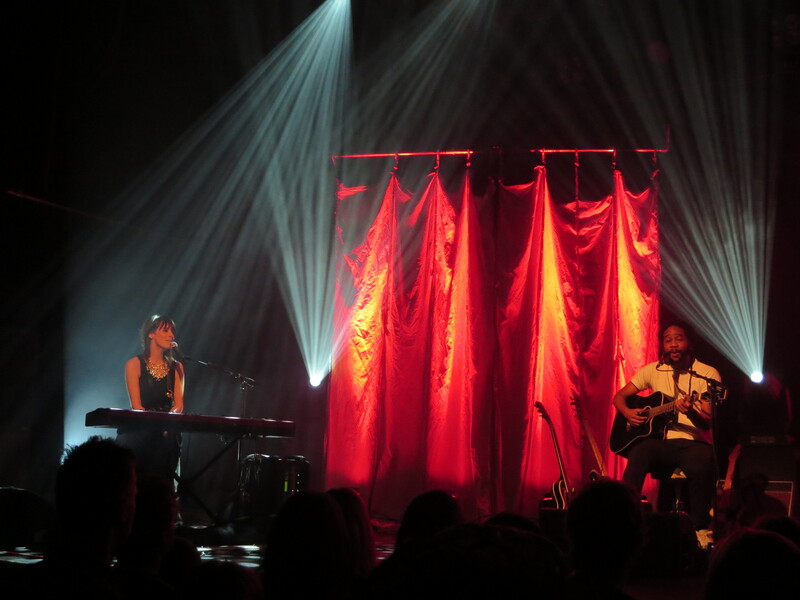 On Friday the 14th of February, het Patronaat in Haarlem was filled with quite a lot of couples who chose to spend their Valentine’s Day, listening to a concert of Laura Jansen. The Dutch singer is busy touring across the Netherlands in all kinds of club venues. Jansen released her second album Elba last year and is still busy promoting the record on tour. 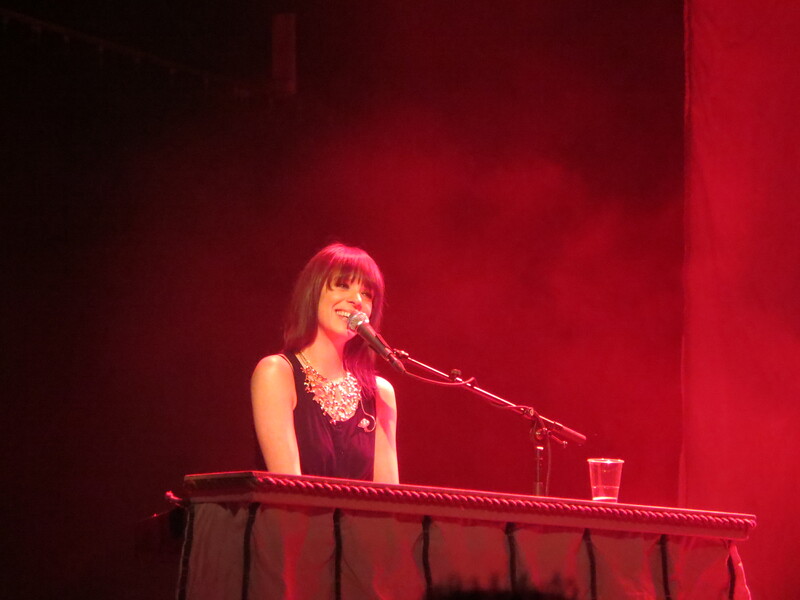 In Haarlem she played a nice mix of songs from her debut Bells and this second record in front of an enthusiastic crowd. Jansen brought her friend Glen Faria, also known as MC Fit, to play the support act. 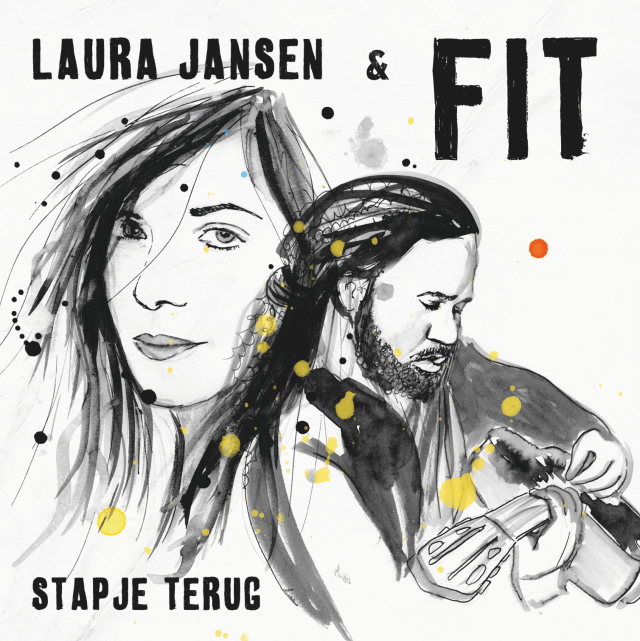 Although this combination of Laura’s singer-songwriter pop and MC Fit’s Hip Hop seems a bit unexpected at first, Jansen and Fit explain that they both tell honest stories in their music and that this is how they are connected. MC Fit’s stories, tunes, enthusiasm and charming personality warms the crowd up nicely and when he returns to the stage together with Laura, at the end of her set, to play the duet ‘Stapje Terug’, it is completely clear that the music of the two actually matches pretty good. They sound great together and it makes for one of the absolute highlights of the evening. After MC Fit warmed up the audience, Laura Jansen takes to the stage completely alone and she opens her show behind the piano, singing the personal and fragile ballad ‘Pretty Me’. Throughout the song, the crowd is completely silent and listens carefully to every word. In the first part of the gig, she and her guitartist and drummer, focus more on songs from her first record, like the Kings Of Leon-cover ‘Use Somebody’, which was Jansen’s first hit. Everybody in het Patronaat sings along which makes for quite a magical moment. Singles ‘Wicked World’ and ‘Single Girls’ get a lot of response from the audience as well. 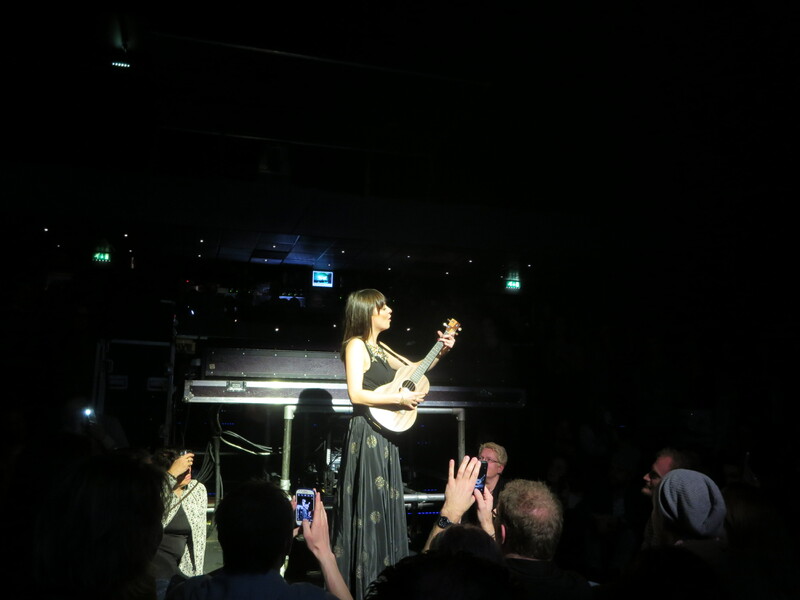 Halfway through the gig Jansen decides to shake things up a bit as she takes her ukulele and stands in the middle of the venue, asking everybody to sit down. Then she starts to sing ‘If Moon Was Cookie’, made famous by Sesamestreet’s Cookie Monster. This might sound like a weird choice of song, but the result was actually a pretty cute moment. After this, she promised that the rest of the show would be a little more uptempo and would allow people to dance along. That is where she started to sing more songs of her sophomore album Elba. 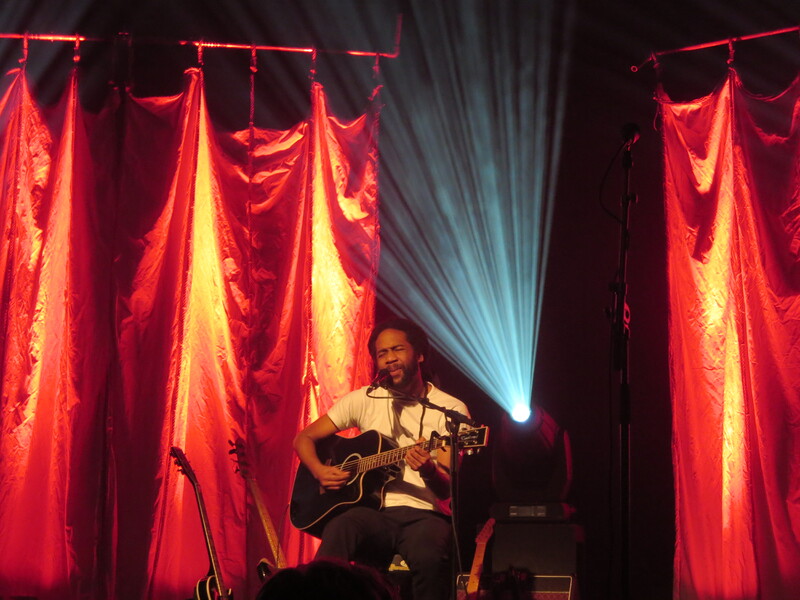 Songs like ‘Light Hits The Room’, and ‘Lighthouse’ are a little more drum-based which is nice for the diversity in the show. During ‘Smalltown (Come Home)’, a brilliant mash-up of Bronski Beat’s ‘Smalltown Boy’ and ‘Johnny Come Home’ by the Fine Young Cannibals, she managed to get the crowd dancing. Her beautiful and pure rendition of her latest hit ‘Queen of Elba’ was another highlight. This is definitely one of the best pop songs of last year and her delivery of it is outstanding. 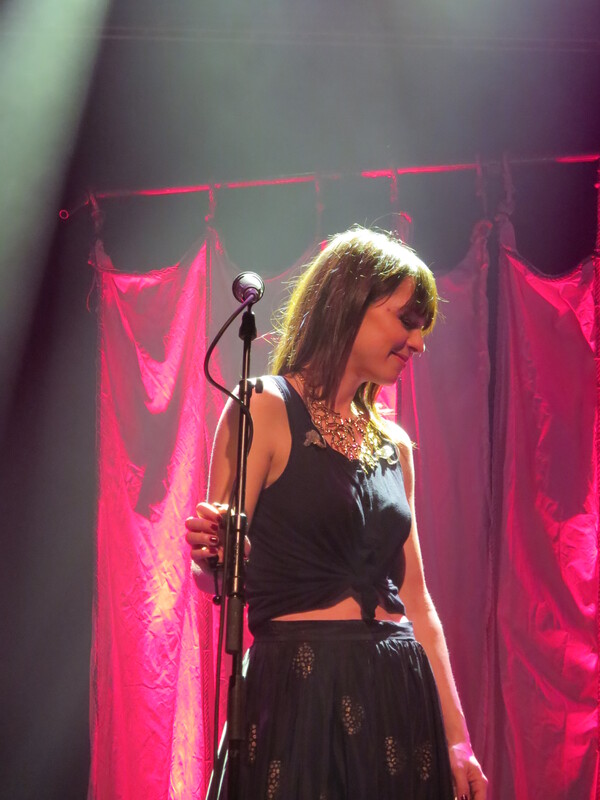 Throughout the show it is obvious that Laura is one of the best vocalists of the Netherlands and both albums are full of great songs that reach their full potential in a live setting. Her personality on stage is as disarming as ever and she definitely gave her audience a Valentine’s Day to remember. Het Patronaat was vrijdagavond 14 februari goed gevuld met vooral veel stelletjes die besloten om op Valentijnsdag naar een concert van Laura Jansen te komen kijken. De zangeres speelde in Haarlem in het kader van haar clubtour waar ze het hele land mee doorreist. Jansen bracht vorig jaar haar tweede plaat Elba uit, die ze nu nog steeds promoot met deze tour. Ze speelde een fijne mix van liedjes van haar debuut Bells en deze opvolger voor een enthousiast publiek. Jansen bracht haar goede vriend Glen Faria, ook wel bekend als MC Fit, mee om het voorprogramma te verzorgen. Op het eerste gezicht lijkt deze combinatie van Jansen’s singer-songwriter pop en Fit’s hiphop wat vreemd, maar de artiesten leggen uit dat ze beide persoonlijke verhalen in hun muziek vertellen en dat dit de belangrijkste overeenkomst is. Fit weet het publiek in te pakken met zijn sterke teksten, pakkende liedjes, zijn enthousiasme en charmante persoonlijkheid. Als hij aan het einde van Laura’s optreden samen met haar opkomt, om het duet ‘Stapje Terug’ ten gehore te brengen, wordt meteen duidelijk dat hun muziekstijlen eigenlijk heel goed bij elkaar passen. Ze klinken prachtig samen en dit levert dan ook één van de hoogtepunten van de avond op. Nadat MC Fit het publiek goed had opgewarmd, kwam Laura Jansen helemaal alleen het podium op om haar optreden achter de piano te beginnen met het liedje ‘Pretty Me’. Deze persoonlijke en breekbare ballad wist de zaal gelijk helemaal stil te krijgen. Iedereen leek met ingehouden adem naar elk woord te luisteren. Hierna focust ze, begeleid door een drummer en een gitarist, het eerste gedeelte van het optreden vooral op liedjes van haar debuutplaat zoals haar eerste hit ‘Use Somebody’, een cover van Kings Of Leon. Dit wordt door de hele zaal uit volle borst meegezongen, wat een magisch momentje oplevert. Ook de singles ‘Wicked World’ en ‘Single Girls’ worden in de zaal goed ontvangen. Halverwege het optreden besluit Jansen alles even helemaal anders te doen. Ze verplaatst zich naar het midden van de zaal waar ze iedereen oproept om eventjes te gaan zitten. Daar zet ze ‘If Moon Was Cookie’, bekend van Sesamstraat’s Cookie Monster, in. Het lijkt misschien een nogal vreemde liedjeskeuze, maar Jansen weet het zeer schattig en aandoenlijk te brengen. Hierna belooft de zangeres dat de rest van de show wat meer uptempo zal zijn, waardoor het publiek ook een beetje kan dansen. Hier richt ze zich meer op haar recente werk. Liedjes als ‘Light Hits The Room’ en ‘Lighthouse’ hebben sterke drumpartijen wat de afwisseling in de show ten goede komt. Met ‘Smalltown (Come Home)’, een briljante mash-up van Bronski Beat’s ‘Smalltown Boy’ en ‘Johnny Come Home’ van de Fine Young Cannibals, weet ze de zaal met gemak aan het dansen te krijgen. Een prachtig pure versie van haar meest recente hit ‘Queen Of Elba’ levert ook een mooi moment op. Sowieso is dit één van de beste popliedjes van het afgelopen jaar en Jansen weet het met haar live vertolking naar een nog hoger niveau te tillen. Gedurende het hele optreden wordt duidelijk dat Laura absoluut een van de sterkste zangeressen van Nederland is met twee prachtige albums op haar naam. De liedjes komen live vaak nog beter uit de verf dan op plaat en Jansen weet met haar ontwapenende persoonlijkheid het publiek zonder moeite voor zich te winnen. Ze heeft haar fans absoluut een Valentijnsdag bezorgd die ze niet snel zullen vergeten. Because it is almost the end of the year, I will present you some lists of the best things that happened in pop music in 2013. 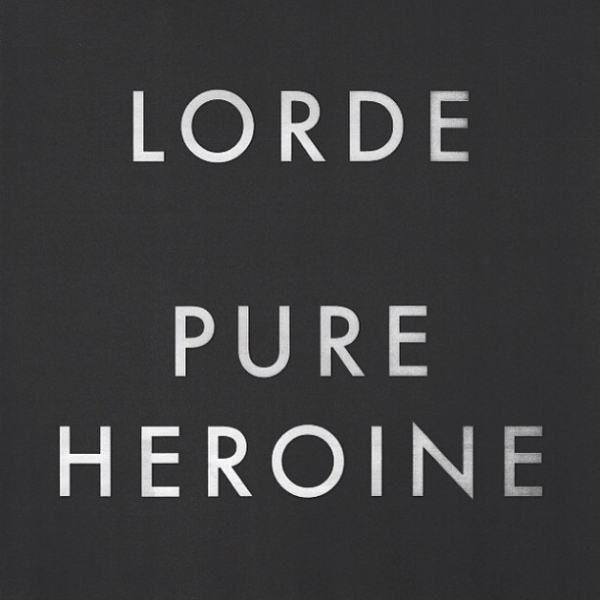 Today, it is time for the list of the 20 best pop albums released in 2013. Let’s have a look! Bastille is one of the most exciting new acts that broke through this year. 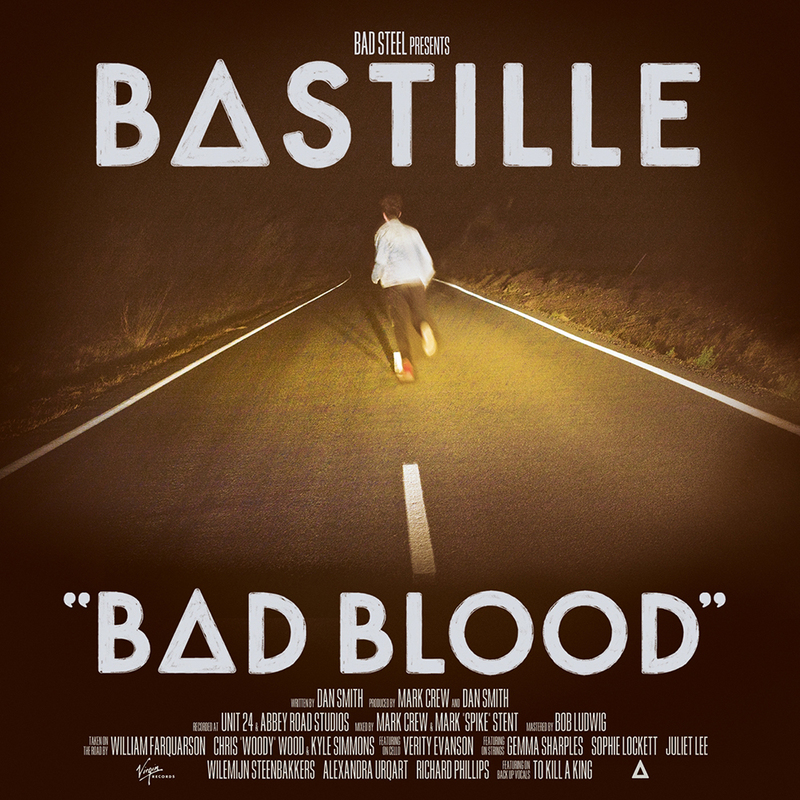 Bad Blood is a great record with a distinctive sound, mostly because of the singer Dan’s warm vocal style. ‘Pompeii’, ‘Things We Lost In The Fire’ and ‘Laura Palmer’ are all brilliant songs with a great production and instrumentation. Impressive debut! A deserved Grammy nomination for this one. 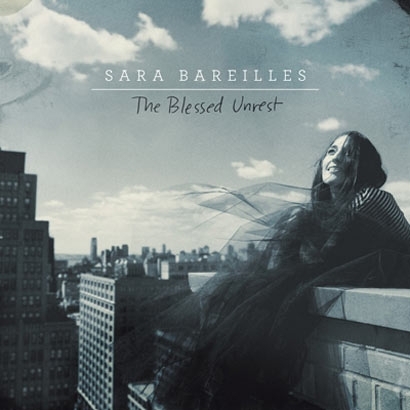 Sara Bareilles released an impressive album with amazing songs like ‘Brave’, ‘Hercules’, ‘Cassiopeia’ and the gorgeous ballad ‘Islands’. Sara always released good albums, but it feels like this time, everything is even a little better and this style fits her completely. Marco Mengoni represented Italy at the Eurovision Song Contest with the wonderful ballad ‘L’Essenziale’. 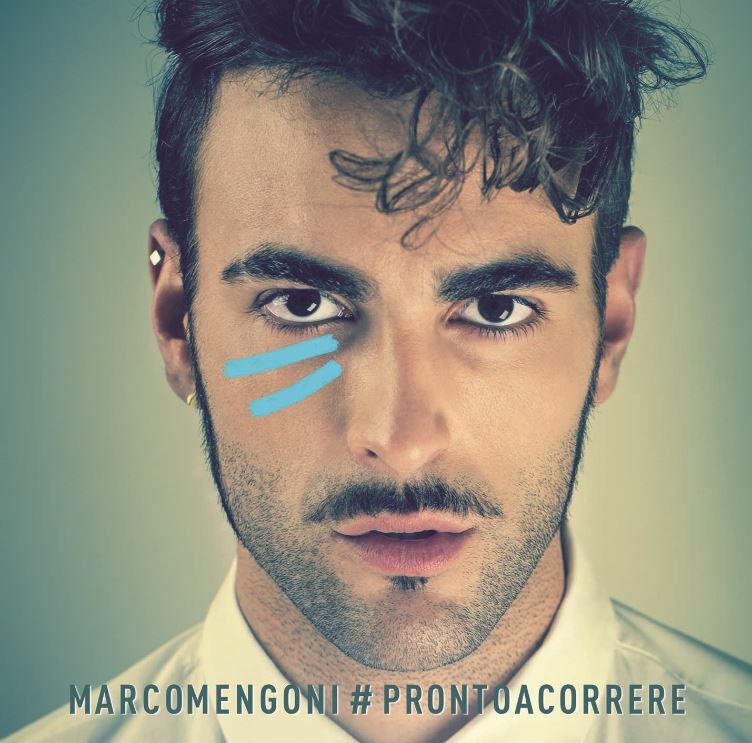 On his album, he shows he also sounds great on up tempo pop songs like ‘Non Me Ne Accorgo’ and the title track. His voice is amazing and the hooks on the tracks are extremely catchy. No wonder this was one of the most successful albums of the year in Italy. 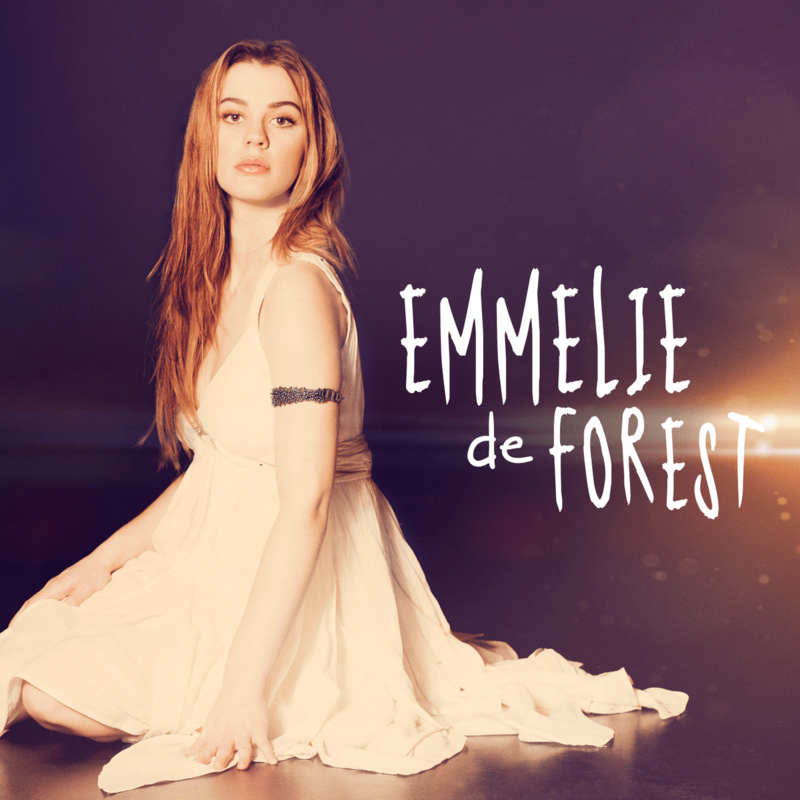 The Danish Emmelie De Forest won this year’s Eurovision Song Contest, but ‘Only Teardrops’ was not the only good song she put out this year. Her debut album was full of good pop tracks in the same style as her Eurovision song. She shows she is more than a one hit wonder with this album and I hope we will get to enjoy more of her music in the next few years. 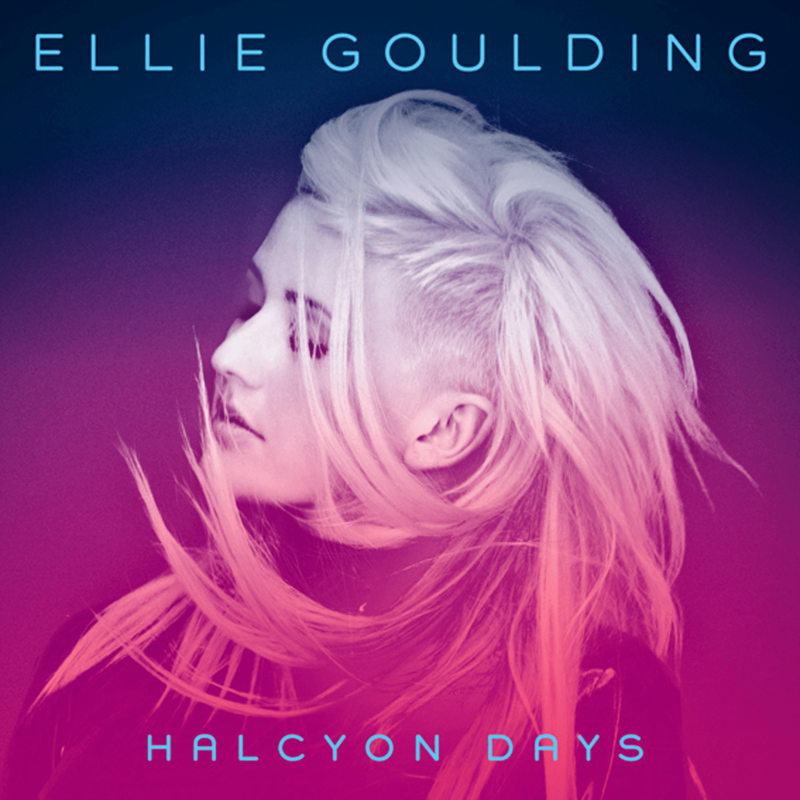 Ellie Goulding came up with a re-release of her brilliant album Halcyon, now called Halcyon Days. She had huge hits with ‘Burn’ and ‘How Long Will I Love You?’ and the other tracks on this new version are great too. It is not the best collection she released so far (how could she ever top Halcyon? 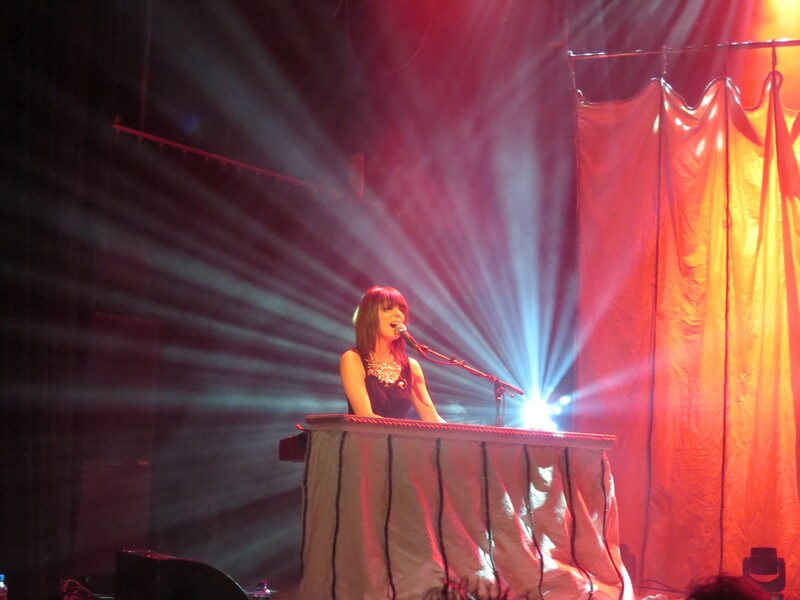 ), but still she once again managed to put out wonderful songs like ‘Hearts Without Chains’ and ‘You, My Everything’. 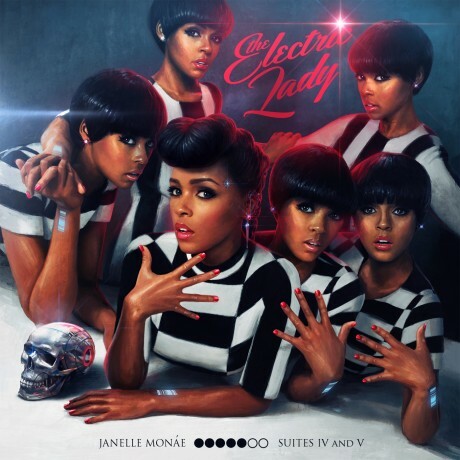 Janelle Monáe’s eclectic mix of R&B, soul, pop, funk, hip-hop and more, delivered us some amazing songs on her debut record The ArchAndroid. Her second effort does not disappoint with some of the best songs in her career so far, like the beautiful duet ‘PrimeTime’ with Miguel. The album has great variation but still feels like an extremely cohesive work of art. Janelle Monáe never disappoints. 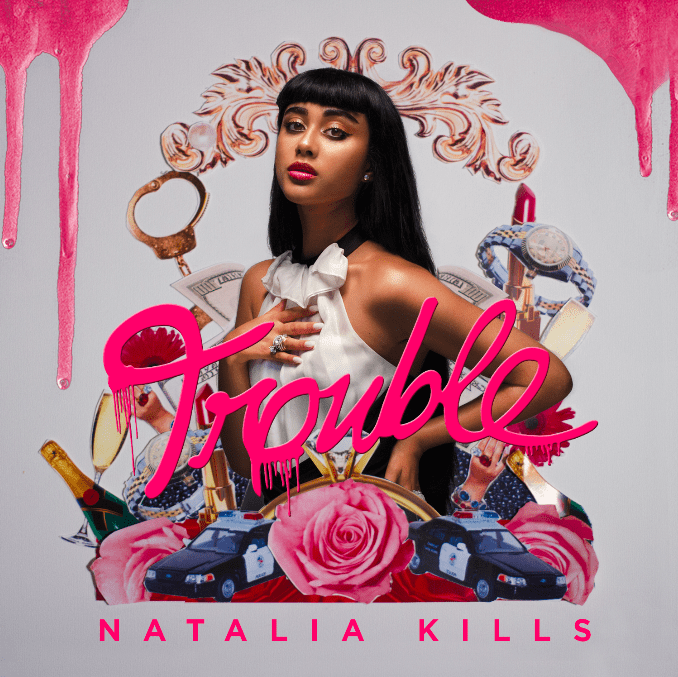 Natalia Kills came back with a surprisingly strong second album. Where her first record was quite hit and miss, Trouble is a more cohesive body of work with a higher quality of songs throughout the album. From the emotional ‘Saturday Night’ to the bonkers ‘Rabbit Hole’, Natalia Kills impressed with a great collection of strong pop songs. AlunaGeorge was one of the most promising new acts this year and they absolutely delivered with their album. Their electronic style with Aluna’s distinctive vocals are immediately recognizable. Their singles ‘Your Drums, Your Love’ and ‘Attracting Flies’ are the best songs on the album, but almost every track has a memorable chorus and a great production. 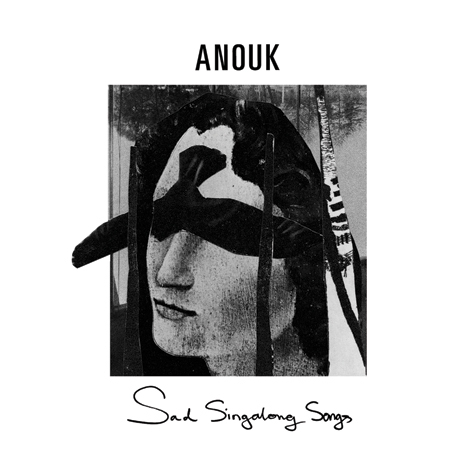 Dutch singer Anouk left rock music behind for a bit and made an orchestral album full of beautiful ballads. She represented the Netherlands at Eurovision with the gorgeous ‘Birds’ and songs like ‘Kill’, ‘Stardust’ and ‘The Good Life’ all have that same cinematic and captivating quality. The lyrics are heartfelt and personal and Anouk’s voice sounds better than ever. These Swedish girls had an enormous hit with the amazing single ‘I Love It’, but they showed they have more to give with their album. Their music is a bouncing mix of pop, electro and dance and literally every track has a huge chorus with a great hook. Absolutely one of the best and catchiest releases of the year. Diana Vickers took some years to record her second album, but it was definitely worth the wait. She changed her style a bit and focuses more on electro pop these days. Music To Make Boys Cry is a cute little record with a handful strong pop songs with great hooks and memorable choruses. The title track, ‘Cinderella’, ‘Boy In Paris’ and ‘Dead Heat’ should have all been hit singles. Lady Gaga will always have to deal with huge expectations when it comes to the release of her albums and there will always be people who are disappointed with her new output. For me however, ARTPOP is a decent pop record with some great tracks on it. It is not her best work so far (The Fame Monster says hello), but still ‘Applause’, ‘Sexxx Dreams’, ‘Do What U Want’ and ‘Venus’ show she still knows how to write huge choruses. I waited until the last day of the year to complete this list, as I could not predict if any artist would ‘pull a Beyoncé’ and release a record out of the blue. She surprised the world with this interesting, cohesive and captivating album. 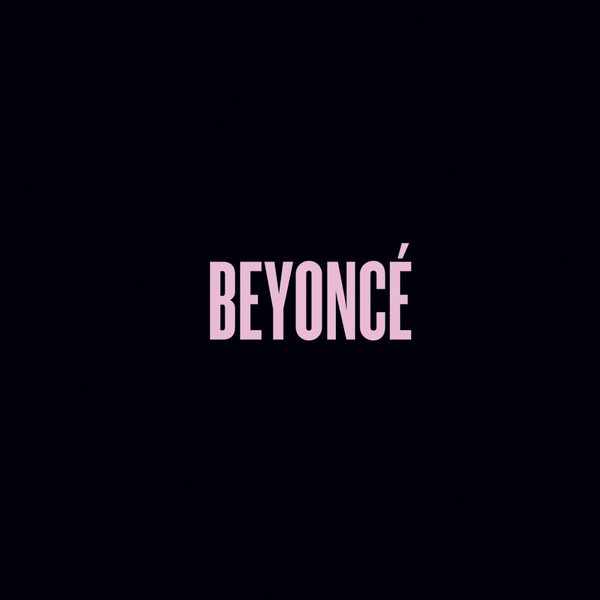 Almost every track on there sounds fresh and it seems Beyoncé found the style that fits her best. ‘Haunted’, ‘XO’, ‘Mine’ and ‘Jealous’ are all brilliant tracks and with every listen another song stands out. Great work Bee, we now understand why it took you so long! The success of the young singer Lorde from New-Zealand might be one of the biggest surprises of the year. It is still hard to imagine how a then sixteen-year-old was capable of creating such a cohesive, well-written album full of huge tunes. Not only singles ‘Royals’ and ‘Tennis Court’ are great songs, but she shows her talents on beautiful and catchy songs like ‘White Teeth Teens’ and ‘Buzzcut Season’ as well. If she is this good at the age of 16, what will happen when she is a grown woman? 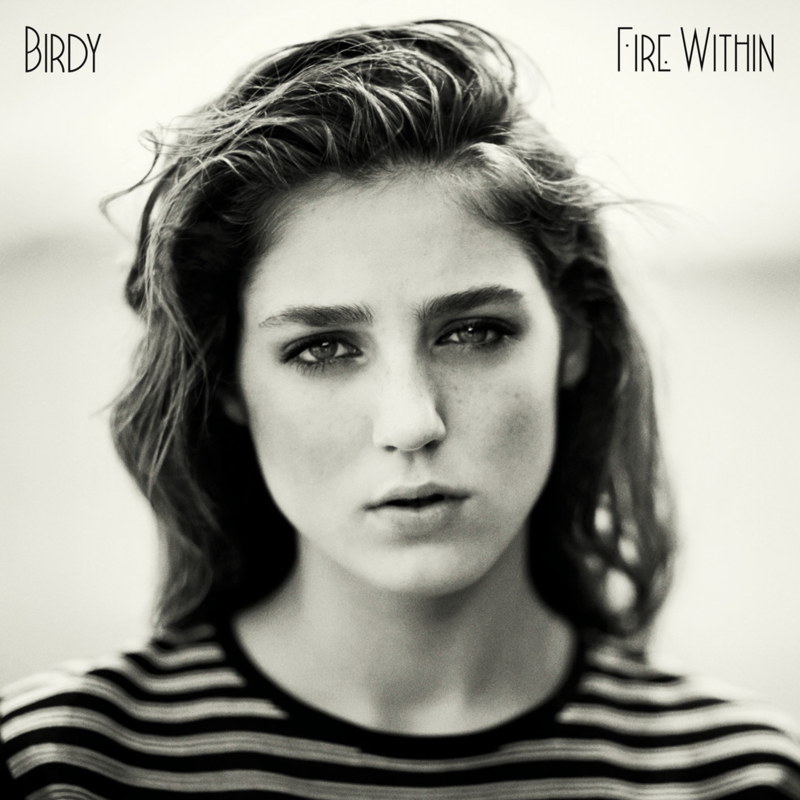 If any artist this year showed how she grew and matured musically, it is Birdy. After releasing an album full of covers as her debut, she did co-write her whole second album with a surprisingly strong record as a result. Beautiful ballads like ‘Words As Weapons’, ‘Strange Birds’ and ‘No Angel’ are still an important part of her music, but she also tries new, more up tempo sounds on ‘Light Me Up’, ‘Wings’ and ‘Standing In The Way Of The Light’, which fits her wonderful vocals perfectly. Definitely one of the most impressive albums of the year. Charli XCX, known for her feature and co-writing on Icona Pop’s ‘I Love It’, released a brilliant debut album herself this year. 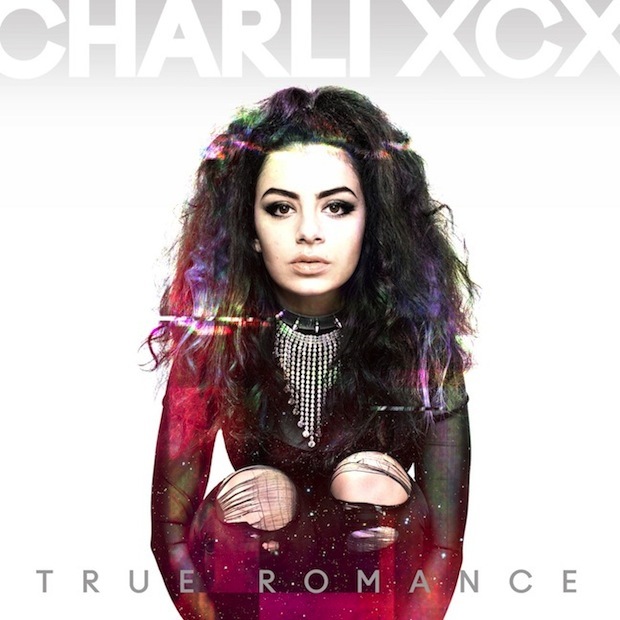 True Romance is an album full of slick, stylish and pumping electro pop. Her lyrics are sharp, the beats are fat and her vocal style is immediately recognizable. Tracks like ‘You (Ha Ha Ha), ‘You’re The One’ and ‘Nuclear Seasons’ all have huge choruses with killer hooks. This young woman knows how to write some perfect pop tracks, ladies and gentlemen! 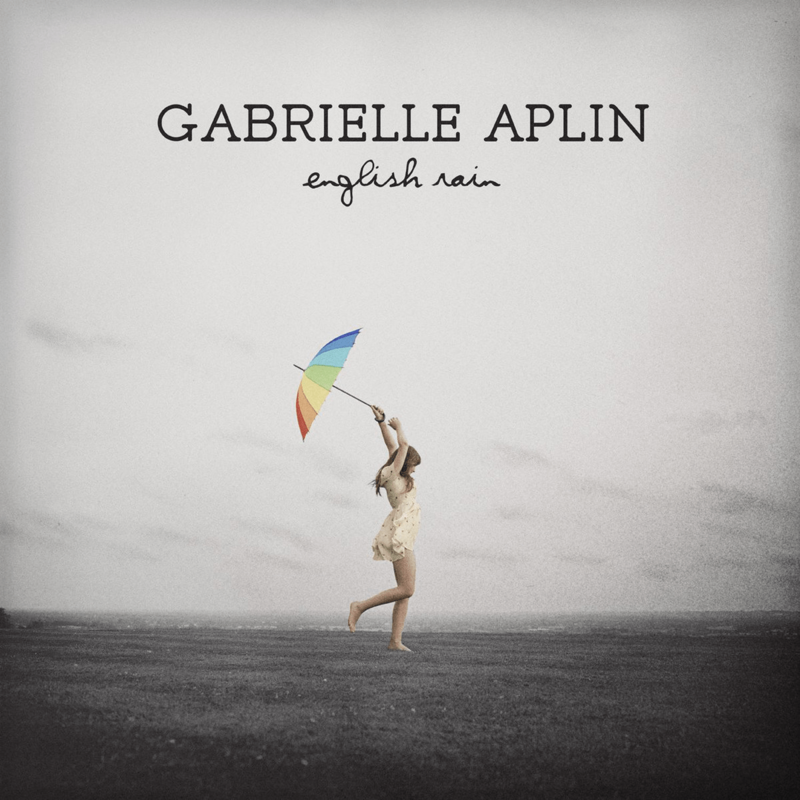 Gabrielle Aplin has been working very hard for quite a few years, but in 2013 she finally dropped her first record ‘English Rain’. Her voice sounds angelic, her lyrics are strong and often relatable and the melodies are beautiful. The album deals with a broad range of emotions and Gabrielle is convincing as the teller of the stories. She is angry on ‘Keep On Walking’, thankful on ‘Salvation’, done with a relationship on ‘Panic Cord’ and cautious on ‘Please Don’t Say You Love Me’. This album has a great variety of strong songs and that voice is just lovely. The most talked about pop star of the year did not only twerk, she made a pretty great album as well. Singles ‘We Can’t Stop’ and ‘Wrecking Ball’ are both brilliant, but Miley proved to be capable of even more. There are a few missteps on this record (‘SMS (Bangerz)’ and ‘Love Money Party’), but the heights, such as the singles, ‘Drive’, ‘FU’,‘4×4’ and ‘Someone Else’ are all so good that it makes you forget not every song is perfect. Miley Cyrus proved herself to be an interesting pop star with some great tracks! 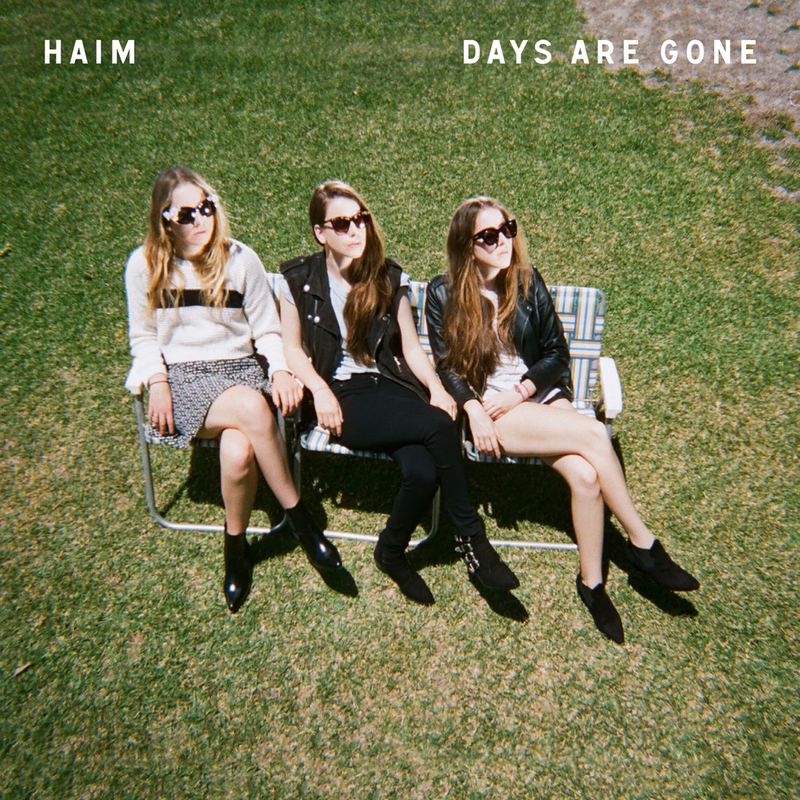 Band of sisters Haim started the year with huge expectations after they won the Sound of 2013 poll. They did not disappoint with their debut record ‘Days Are Gone’ with a great recognizable sound and eleven strong tracks. The first single ‘Forever’ is still the standout track, but songs like ‘Falling’, ‘Days Are Gone’ and ‘Let Me Go’ all show their song writing talents. The sisters created an own sound and delivered a cohesive album that never bores. The best album of 2013 came from an unexpected place for me, but Dutch singer-songwriter Laura Jansen delivered a truly impressive album. First single ‘Queen Of Elba’ is one of my favourite songs of the year and basically all tracks on the album are great. The lyrics are all well written, touching and tell very personal stories and the melodies are utterly gorgeous. From the uplifting ‘Golden’ to the emotional ballad ‘A Call To Arms’ and the more electronic ‘Lighthouse’ and from the great mash-up ‘Smalltown (Come Home)’ to the heartbreaking and personal ‘Pretty Me’, literally everything about this album is right. She crowned herself the queen of Elba, I crown her the album queen of the year! Rapper and singer Fit, known for being part of Flinke Namen, a Dutch rap formation, released his solo debut record, Glen Faria, earlier this year. He describes it as an ‘honest record with beautiful songs’. Lyrically, this album is more personal than his work with Flinke Namen. Fit re-recorded ‘Stapje Terug’, one of the tracks on this album. Together with Dutch singer Laura Jansen, the song was transformed into a lovely duet. Laura Jansen had her breakthrough in 2009, when her cover of ‘Use Somebody’ by Kings of Leon became a huge hit. Her debut album Bells was released in the same year and singles like ‘Wicked World’ and ‘Single Girls’ reached the charts. 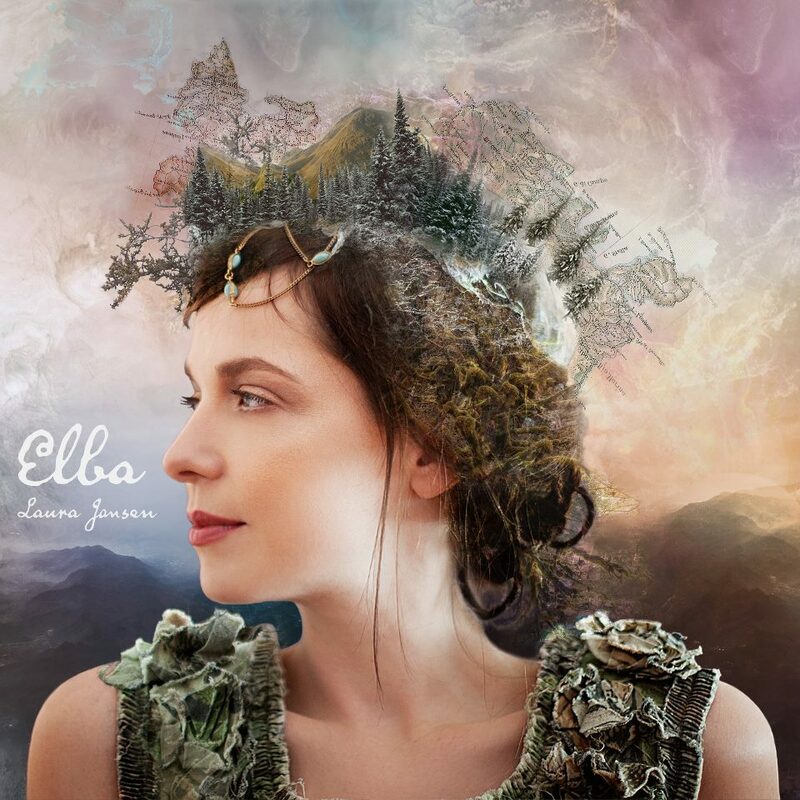 Earlier this year, Jansen came back with her second album, Elba. This impressive record is full of great songs, with the single ‘Queen Of Elba’ being an absolute highlight. Now she recorded her first full song in Dutch together with rap musician Fit. Fit explained in a making of video that the inspiration for ‘Stapje Terug’ was his work at high schools, where he chatted to students who were trying to find their way in life, which often reminded him of himself at a younger age. Laura Jansen added that the song is not about a father/son or teacher/student relation per se, but could be about anyone. The voices of Fit and Laura Jansen work surprisingly well together. Jansen stated she hoped they could inspire other artists to work together with people from different genres. Jansen and Fit show that this could work out perfectly. Their voices melt together in the middle-eight where they both sing different texts. The result is lovely. Also the parts in the verses and the chorus where they sing together, are beautiful. Individually, they both have very characteristic vocals and Jansen shows she sounds just as good in Dutch as she does in English. ‘Stapje Terug’ is a sweet song with beautiful and meaningful lyrics, sung by two outstanding artists who did a great job on an unusual collaboration. Rapper en zanger Fit, vooral bekend van zijn rol in de rapformatie Flinke Namen, bracht eerder dit jaar zijn debuut album Glen Faria uit. Hij beschreef het zelf als ‘een eerlijke plaat met mooie liedjes’. Qua teksten is dit album een stuk persoonlijker dan de liedjes die hij maakte met Flinke Namen. Fit heeft nu een nieuwe versie van de albumtrack ‘Stapje Terug’ opgenomen. Samen met de Nederlandse zangeres Laura Jansen, maakte hij er een prachtig duet van. Laura Jansen brak in 2009 door toen haar versie van ‘Use Somebody’ van Kings of Leon een grote hit werd. Hetzelfde jaar bracht ze het album Bells uit en singles als ‘Wicket World’ en ‘Single Girls’ behaalden de hitlijsten. Eerder dit jaar maakte Jansen haar comeback met het tweede album, Elba. Deze indrukwekkende plaat staat vol met fantastische songs, met de single ‘Queen Of Elba’ als absolute uitschieter. Nu zingt ze voor het eerst een volledige track in het Nederlands, samen met de rapmuzikant Fit. Fit legde in een making of video uit dat hij de inspiratie voor ‘Stapje Terug’ opdeed uit zijn werk op middelbare scholen. Daar sprak hij met jongeren die nog zoekende waren in hun leven, wat hem deed denken aan zichzelf op een jongere leeftijd. Laura Jansen voegde toe dat het liedje niet per se in een vader/zoon of leraar/student relatie gezien hoeft te worden, maar dat het over praktisch iedereen kan gaan. De stemmen van Fit en Laura Jansen klinken verrassend goed samen. Jansen liet weten dat ze hoopt hiermee andere artiesten te inspireren om ook niet voor de hand liggende samenwerkingen buiten het eigen genre aan te gaan. Fit en Jansen laten op deze plaat horen dat dit heel goed uit kan pakken. Hun stemmen smelten prachtig samen tijdens de bridge, waar ze allebei verschillende teksten zingen. Ook tijdens de coupletten en refreinen waar ze samen zingen klinkt het als een klok. Beide artiesten hebben zeer karakteristieke stemmen en Laura Jansen laat horen dat ze in het Nederlands net zo mooi klinkt als in het Engels. ‘Stapje Terug’ is een lief lied met een mooie en betekenisvolle tekst, gezongen door twee fantastische artiesten die samen een onverwachte, maar zeer geslaagde samenwerking laten horen. Eerder deze week speelde het duo de single bij De Wereld Draait Door.